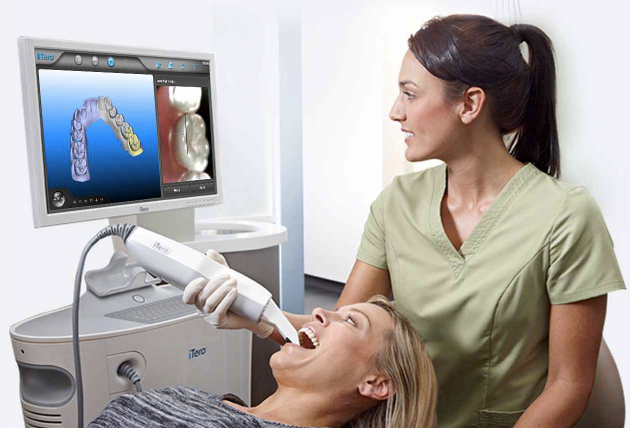 The ITERO SCANNER is a digital scanner that is designed to capture the structure of the teeth and gums. The scan is done with a compact, handheld wand. Once the scan is complete, it creates a 3D image of your teeth and gums that can be used by Invisalign to help Dr. Liss deliver a beautiful smile. There is no exposure to radiation as it uses a laser to generate the image. The scan is completed chair-side by an assistant in as little as 15 minutes, and can be stopped and started as many times as necessary for the patients comfort.